Flight is the process by which an object moves through an atmosphere without contact with the surface. This can be achieved by generating aerodynamic lift associated with propulsive thrust, aerostatically using buoyancy, or by ballistic movement. 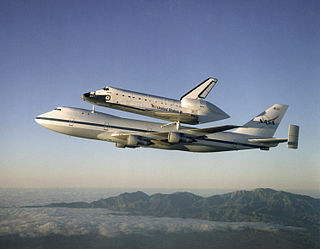 The human activity that surrounds aircraft is called aviation . The science of aviation, including designing and building aircraft, is called aeronautics. Crewed aircraft are flown by an onboard pilot, but unmanned aerial vehicles may be remotely controlled or self-controlled by onboard computers. Aircraft may be classified by different criteria, such as lift type, aircraft propulsion, usage and others. World War I was the first major conflict involving the large-scale use of aircraft. Tethered observation balloons had already been employed in several wars, and would be used extensively for artillery spotting. Germany employed Zeppelins for reconnaissance over the North Sea and Baltic and also for strategic bombing raids over Britain and the Eastern Front. An aerostat is a lighter than air aircraft that gains its lift through the use of a buoyant gas. Aerostats include unpowered balloons and powered airships. 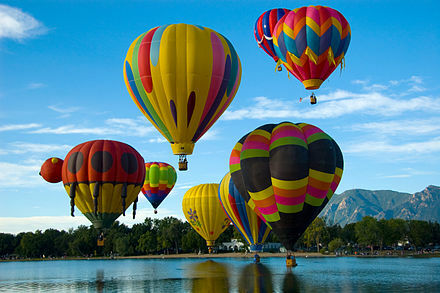 A balloon may be free-flying or tethered. The average density of the craft is lower than the density of atmospheric air, because its main component is one or more gasbags, a lightweight skin containing a lifting gas to provide buoyancy, to which other components such as a gondola containing equipment or people are attached. Especially with airships, the gasbags are often protected by an outer envelope. A balloon was originally any aerostat, while the term airship was used for large, powered aircraft designs – usually fixed-wing. In 1919 Frederick Handley Page was reported as referring to "ships of the air," with smaller passenger types as "Air yachts." In the 1930s, large intercontinental flying boats were also sometimes referred to as "ships of the air" or "flying-ships". – though none had yet been built. The advent of powered balloons, called dirigible balloons, and later of rigid hulls allowing a great increase in size, began to change the way these words were used. Huge powered aerostats, characterized by a rigid outer framework and separate aerodynamic skin surrounding the gas bags, were produced, the Zeppelins being the largest and most famous. There were still no fixed-wing aircraft or non-rigid balloons large enough to be called airships, so "airship" came to be synonymous with these aircraft. Then several accidents, such as the Hindenburg disaster in 1937, led to the demise of these airships. Nowadays a "balloon" is an unpowered aerostat and an "airship" is a powered one. A powered, steerable aerostat is called a dirigible . 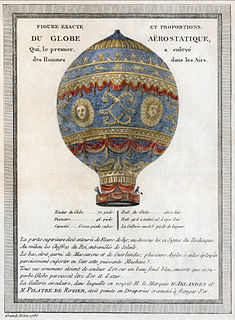 Sometimes this term is applied only to non-rigid balloons, and sometimes dirigible balloon is regarded as the definition of an airship (which may then be rigid or non-rigid). Non-rigid dirigibles are characterized by a moderately aerodynamic gasbag with stabilizing fins at the back. These soon became known as blimps . During the Second World War, this shape was widely adopted for tethered balloons; in windy weather, this both reduces the strain on the tether and stabilizes the balloon. The nickname blimp was adopted along with the shape. In modern times, any small dirigible or airship is called a blimp, though a blimp may be unpowered as well as powered. A flying wing has no fuselage, though it may have small blisters or pods. The opposite of this is a lifting body , which has no wings, though it may have small stabilizing and control surfaces. 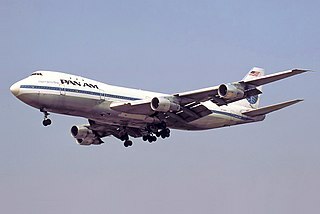 The fastest airliner currently flying is the Boeing 747, quoted as being capable of cruising over Mach 0.885 (over 550 mph). Previously, the fastest were the troubled, short-lived Russian (Soviet Union) Tupolev Tu-144 SST (Mach 2.35) and the French/British Concorde SST (Mach 2.23, normally cruising at Mach 2) . Before them, the Convair 990 Coronado jet airliner of the 1960s flew at over 600 mph. Kites are aircraft  that are tethered to the ground or other object (fixed or mobile) that maintains tension in the tether or kite line; they rely on virtual or real wind blowing over and under them to generate lift and drag. Kytoons are balloon-kite hybrids that are shaped and tethered to obtain kiting deflections, and can be lighter-than-air, neutrally buoyant, or heavier-than-air. 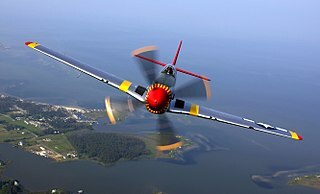 Propeller aircraft use one or more propellers (airscrews) to create thrust in a forward direction. The propeller is usually mounted in front of the power source in tractor configuration but can be mounted behind in pusher configuration . Variations of propeller layout include contra-rotating propellers and ducted fans . Compared to propellers, jet engines can provide much higher thrust, higher speeds and, above about 40,000 ft (12,000 m), greater efficiency. They are also much more fuel-efficient than rockets. As a consequence nearly all large, high-speed or high-altitude aircraft use jet engines. The flight envelope of an aircraft refers to its approved design capabilities in terms of airspeed and load factor or altitude. The term can also refer to other assessments of aircraft performance such as maneuverability. When an aircraft is abused, for instance by diving it at too-high a speed, it is said to be flown outside the envelope, something considered foolhardy since it has been taken beyond the design limits which have been established by the manufacturer. Going beyond the envelope may have a known outcome such as flutter or entry to a non-recoverable spin (possible reasons for the boundary). A fixed wing is typically unstable in pitch, roll, and yaw. 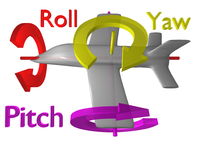 Pitch and yaw stabilities of conventional fixed wing designs require horizontal and vertical stabilisers,   which act similarly to the feathers on an arrow. These stabilizing surfaces allow equilibrium of aerodynamic forces and to stabilise the flight dynamics of pitch and yaw. They are usually mounted on the tail section (empennage), although in the canard layout, the main aft wing replaces the canard foreplane as pitch stabilizer. Tandem wing and Tailless aircraft rely on the same general rule to achieve stability, the aft surface being the stabilising one. Combat aircraft are aircraft designed to destroy enemy equipment using its own armament. 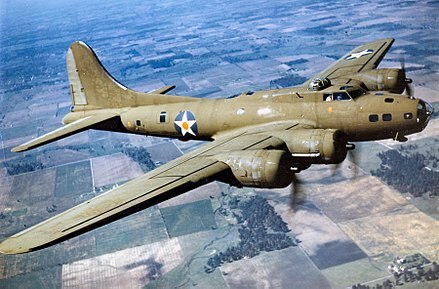 Combat aircraft divide broadly into fighters and bombers, with several in-between types such as fighter-bombers and ground-attack aircraft (including attack helicopters). A vertical take-off and landing (VTOL) aircraft is one that can hover, take off, and land vertically. 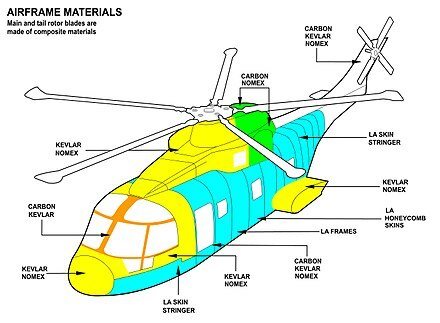 This classification can include a variety of types of aircraft including fixed-wing aircraft as well as helicopters and other aircraft with powered rotors, such as cyclogyros/cyclocopters and tiltrotors. Some VTOL aircraft can operate in other modes as well, such as CTOL, STOL, and/or STOVL. Others, such as some helicopters, can only operate by VTOL, due to the aircraft lacking landing gear that can handle horizontal motion. VTOL is a subset of V/STOL. Some lighter-than-air aircraft also qualify as VTOL aircraft, as they can hover, takeoff, and land with vertical approach/departure profiles. Unpowered aircraft can remain airborne for a significant period of time without onboard propulsion. They can be classified as fixed-wing gliders, lighter-than-air balloons and tethered kites. This requires a trajectory that is not merely a vertical descent such as a parachute. In the case of kites, lift is obtained by tethering to a fixed or moving object, perhaps another kite, to obtain a flow of wind over the lifting surfaces. 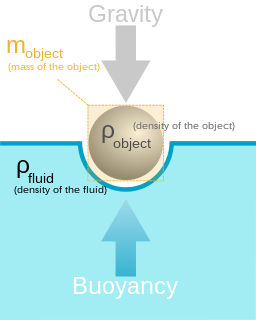 In the case of balloons, lift is obtained through inherent buoyancy and the balloon may or may not be tethered. Free balloon flight has little directional control. Gliding aircraft include sailplanes, hang gliders, and paragliders that have full directional control in free flight. A fixed-wing aircraft is a flying machine, such as an airplane or aeroplane, which is capable of flight using wings that generate lift caused by the aircraft's forward airspeed and the shape of the wings. Fixed-wing aircraft are distinct from rotary-wing aircraft, and ornithopters. 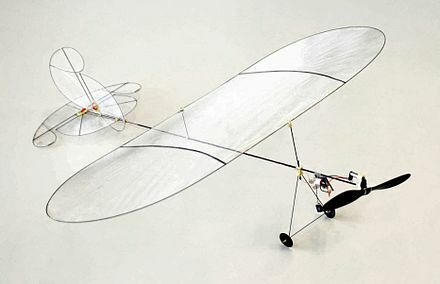 The wings of a fixed-wing aircraft are not necessarily rigid; kites, hang gliders, variable-sweep wing aircraft and aeroplanes that use wing morphing are all examples of fixed-wing aircraft. A jet aircraft is an aircraft propelled by jet engines. The history of aviation extends for more than two thousand years, from the earliest forms of aviation such as kites and attempts at tower jumping to supersonic and hypersonic flight by powered, heavier-than-air jets. 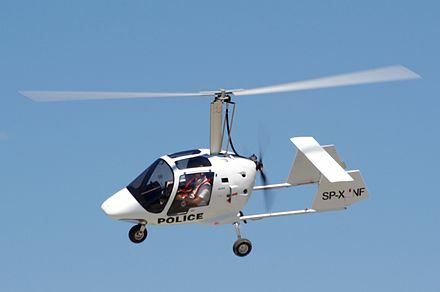 A rotorcraft or rotary-wing aircraft is a heavier-than-air flying machine that uses lift generated by wings, called rotary wings or rotor blades, that revolve around a mast. Several rotor blades mounted on a single mast are referred to as a rotor. 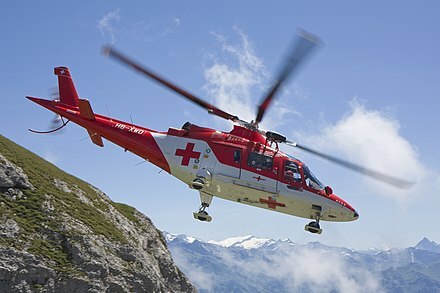 The International Civil Aviation Organization (ICAO) defines a rotorcraft as "supported in flight by the reactions of the air on one or more rotors". 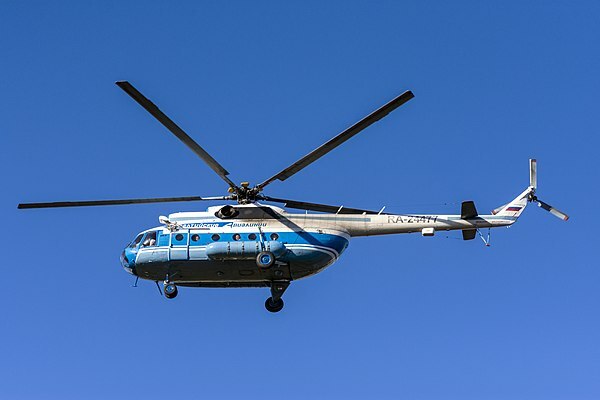 Rotorcraft generally include those aircraft where one or more rotors are required to provide lift throughout the entire flight, such as helicopters, autogyros, and gyrodynes. Compound rotorcraft may also include additional thrust engines or propellers and static lifting surfaces. Powered lift or powered-lift refers to a type of aircraft that can take off and land vertically and functions differently from a rotorcraft in horizontal flight. A subsonic aircraft is an aircraft with a maximum speed less than the speed of sound. The term technically describes an aircraft that flies below its critical Mach number, typically around Mach 0.8. All current civil aircraft, including airliners, helicopters and airships, as well as many military types, are subsonic. A tailless aircraft has no tail assembly and no other horizontal surface besides its main wing. The aerodynamic control and stabilisation functions in both pitch and roll are incorporated into the main wing. 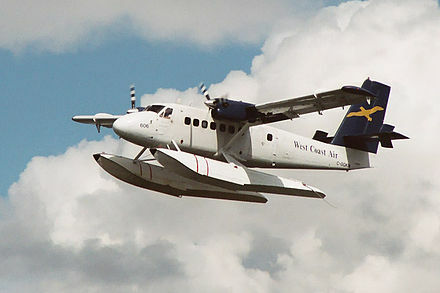 A tailless type may still have a conventional vertical fin and rudder. A powered aircraft is an aircraft that uses onboard propulsion with mechanical power generated by an aircraft engine of some kind. ↑ US patent 467069 Archived 23 February 2014 at the Wayback Machine "Air-ship" referring to a compound aerostat/rotorcraft. ↑ Ezekiel Airship (1902) wright-brothers.org Archived 3 December 2013 at the Wayback Machine altereddimensions.net Archived 22 February 2014 at the Wayback Machine "airship," – referring to an HTA aeroplane. ↑ The Bridgeport Herald, August 18, 1901 Archived 3 August 2013 at the Wayback Machine – "air ship" referring to Whitehead's aeroplane. ↑ Cooley Airship of 1910, also called the Cooley monoplane. "Unbelievable Flying Objects". Archived from the original on 2 November 2013. Retrieved 10 February 2014. "Archived copy". Archived from the original on 2 April 2012. Retrieved 2011-09-07. CS1 maint: Archived copy as title (link) – a heavier-than-air monoplane. ↑ Frater, A.; The Balloon Factory, Picador (2009), p. 163. Wright brothers' "airship." ↑ The Sydney Morning Herald, Monday 11 April 1938 – "ship of the airs," "flying-ship," referring to a large flying-boat. ↑ Smithsonian, America by air Archived 18 January 2014 at the Wayback Machine "Ships of the Air" referring to Pan Am's Boeing Clipper flying-boat fleet. ↑ "World's largest aircraft the Airlander makes maiden flight in UK," Archived 22 November 2016 at the Wayback Machine 16 Aug 2016, London 'Daily Telegraph' via Telegraph.co.uk, retrieved November 22, 2016. ↑ [ "Airlander 10, the world's largest aircraft, takes off for the first time,"] August 19, 2016, CBS News(TV) retrieved November 22, 2016. ↑ Kottasova, Ivana "The world's largest aircraft crashes after 2nd test flight" Archived 22 November 2016 at the Wayback Machine , August 24, 2016, CNN Tech on CNN, the Cable News Network, retrieved November 22, 2016. ↑ July, Dyre. "Fly Drive Aanbiedingen". www.flydrivereizen.nl. Archived from the original on 4 November 2016. ↑ "Watch the world's biggest plane land in Australia," Archived 22 November 2016 at the Wayback Machine May 16, 2016, Fox News, retrieved November 22, 2016. ↑ Rumbaugh, Andrea, "World's biggest airplane lands at Bush airport," Archived 23 November 2016 at the Wayback Machine Updated November 18, 2016, Houston Chonicle / Chron.com, retrieved November 22, 2016. 1 2 3 4 "Ask Us – Largest Plane in the World," Aerospaceweb.org, retrieved November 22, 2016. ↑ "World's Second Largest Aircraft," Archived 22 November 2016 at the Wayback Machine July 28th, 2013, NASA, retrieved November 22, 2016. 1 2 Loftin, Laurence K., Jr., "Wide-Body Transports" Archived 7 June 2013 at the Wayback Machine , in Chapter 13, "Jet Transports," in Part II, "The Jet Age," in Quest for Performance: The Evolution of Modern Aircraft, NASA SP-468, 1985, Scientific and Technical Information Branch, NASA, Washington, D.C., Updated: August 6, 2004, retrieved November 22, 2016. ↑ "Airbus reviews A380 schedule," Archived 2 February 2017 at the Wayback Machine April 29, 2008, The New York Times , retrieved November 22, 2016. ↑ "Hypersonic X-43A Takes Flight.htm," Archived 2 November 2016 at the Wayback Machine NASA retrieved November 2016. ↑ "Fastest aircraft, air-breathing engine," Archived 20 December 2016 at the Wayback Machine Guinness World Records, retrieved December 2, 2016. 1 2 3 4 5 6 Jackson, Doug, "Ask Us – Aircraft Speed Records," April 22, 2001, Aerospaceweb.org, retrieved November 22, 2016. ↑ "Fastest speed in a non-spacecraft aircraft," Archived 20 December 2016 at the Wayback Machine Guinness World Records, retrieved December 2, 2016. ↑ Benson, Tom, ed., "Speed Regimes: Hypersonic Re-Entry," Archived 23 November 2016 at the Wayback Machine Glenn Research Center, NASA, retrieved November 22, 2016. 1 2 "Ask Us – Fastest Airliner and Area Rule," Aerospaceweb.org, retrieved November 22, 2016. 1 2 "Fastest aircraft, airliner," Archived 20 December 2016 at the Wayback Machine Guinness World Records, retrieved December 2. 2016. ↑ Whitfield, Bethany, "Cessna Citation Ten Chases Mach 0.935 Top Speed: Jet would retake speed prize from G650," Archived 20 July 2016 at the Wayback Machine August 28, 2012, Flying Magazine , retrieved November 22, 2016. ↑ "Cessna rolls out first production unit of new Citation X," Archived 22 November 2016 at the Wayback Machine Apr 15, 2013, Wichita Business Journal, retrieved November 22, 2016. 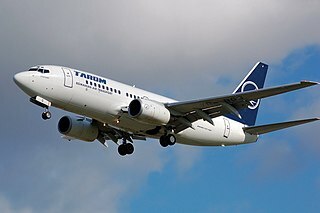 Wikimedia Commons has media related to Aircraft .